For some reason, Business Week decided to do away with their Fearless Forecasts outlook piece this year. Instead, they narrowed down the number of strategists from 80 to less than 15. Last year's consensus price targets for the major indices did pretty well. Strategists expected a gain in the S&P 500 of 5.85%, and the current YTD gain stands at 4.13%. 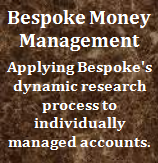 They expected a gain in the Nasdaq of 9.62%, and the current YTD gain stands at 10.71%. 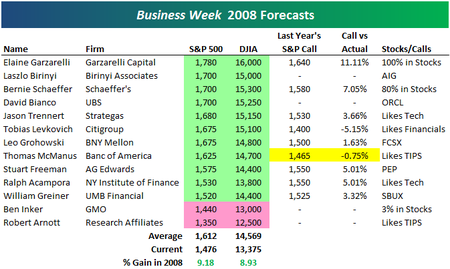 Not taking anything away from the forecasters this year, but you would think that Business Week would ask some of the better prognosticators in '07 to make predictions for '08. 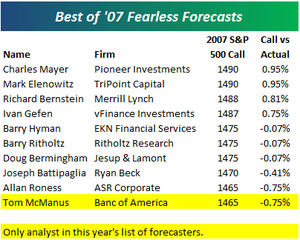 Tom McManus is the only analyst in the list above that gave forecasts in this year's publication. Below we highlight Business Week's strategist predictions for 2008. As shown, Elaine Garzarelli, Laszlo Birinyi, Bernie Schaeffer and David Bianco are looking for the biggest gains in the S&P 500. Only two strategists are expecting declines in '08 -- Ben Inker and Robert Arnott. Tom McManus, who made the best prediction last year of this year's strategists, is looking for the S&P 500 to close '08 at 1,625. 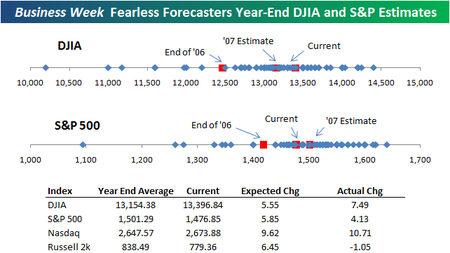 The consensus forecast from all 13 strategists is for a 2008 gain of about 9%. 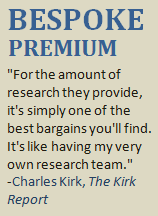 We also provide each strategist's 2007 S&P 500 calls where applicable. 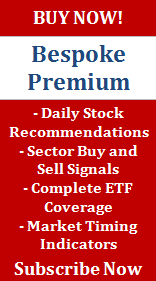 As far as individual stocks go, AIG, ORCL, FCSX, PEP and SBUX were mentioned as favorites. 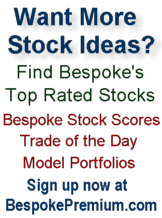 Want to know how to invest in 2008? 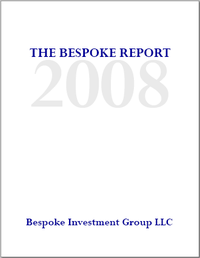 Receive our in-depth, 90-page outlook piece, The Bespoke Report 2008, when you become a Bespoke Premium member. You don't suppose Business Week is feeling some crunch themselves and don't have the ad revenue to support an eighty forecast effort? Thank you for the write-up. I am the other Barry (not Ritholtz). I myself am disappointed that BW did not ask for predicitions for those who were closest. It was a pleasure to participate for the past decade.